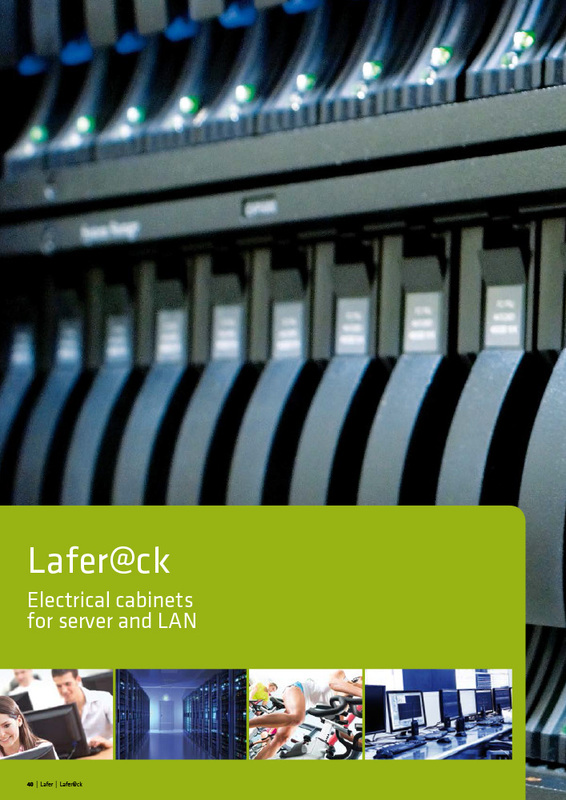 Electrical cabinets for server and LAN. 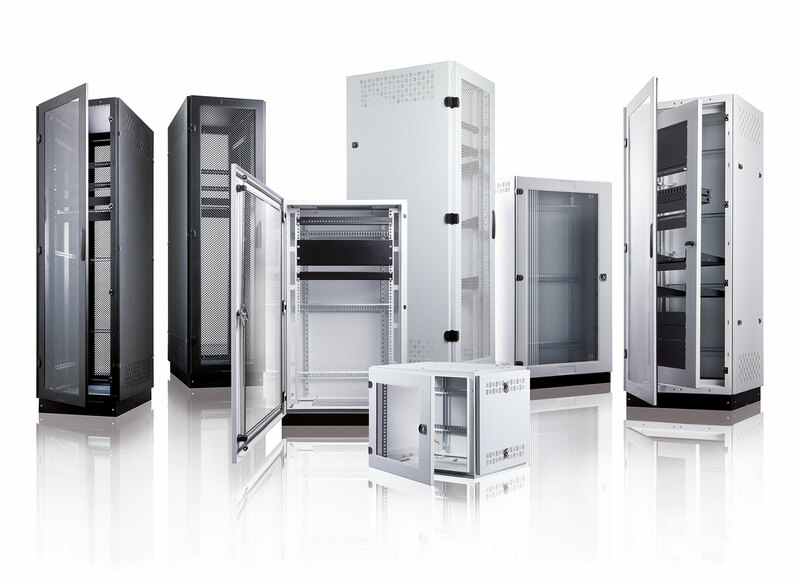 They are designed for all information systems and data network. 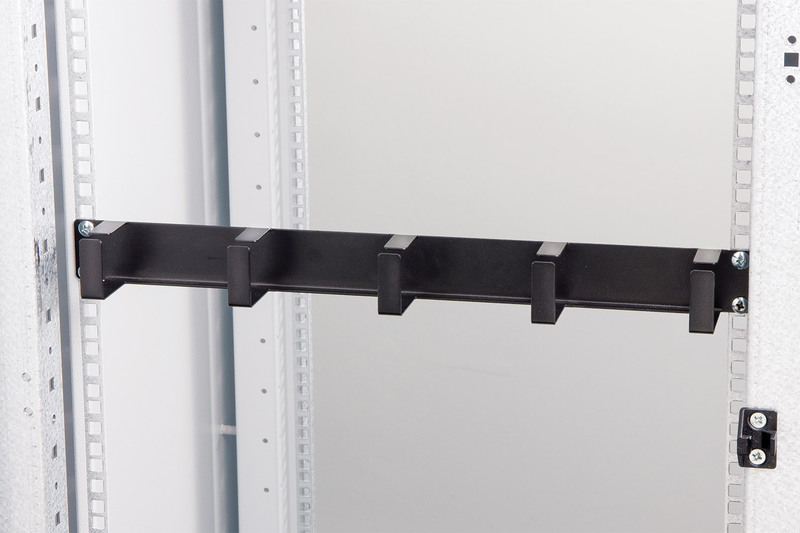 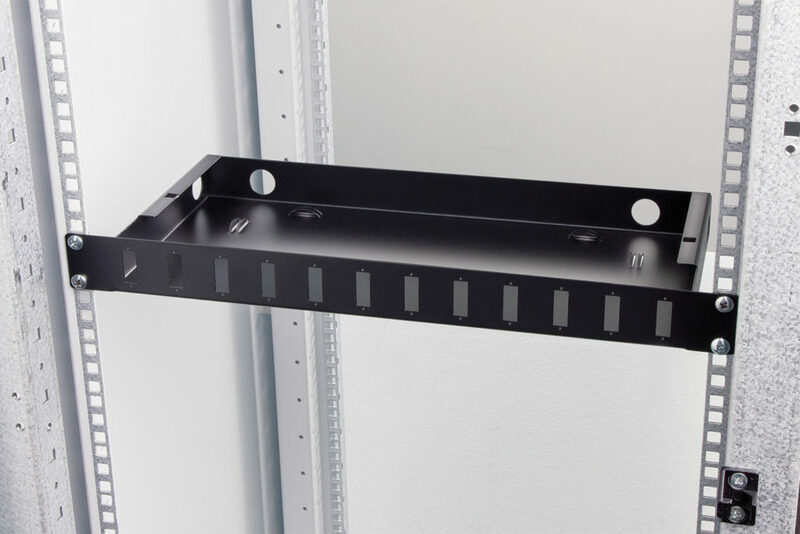 They ensure quick wiring solutions and offer a wide range of accessories. 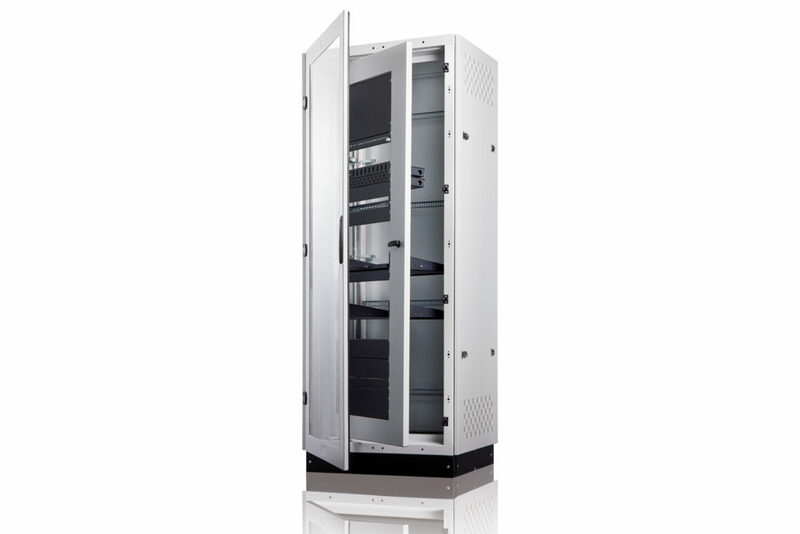 Both cabinets and small cabinets are designed for the information infrastructure. 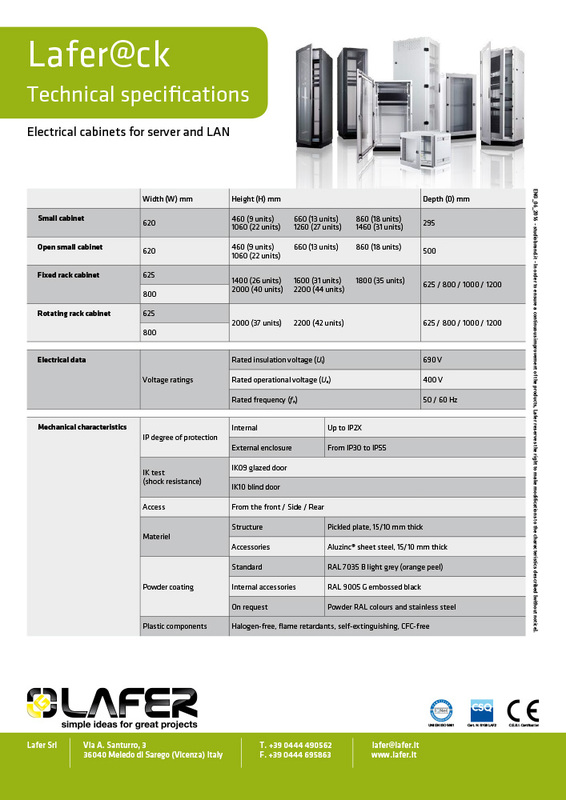 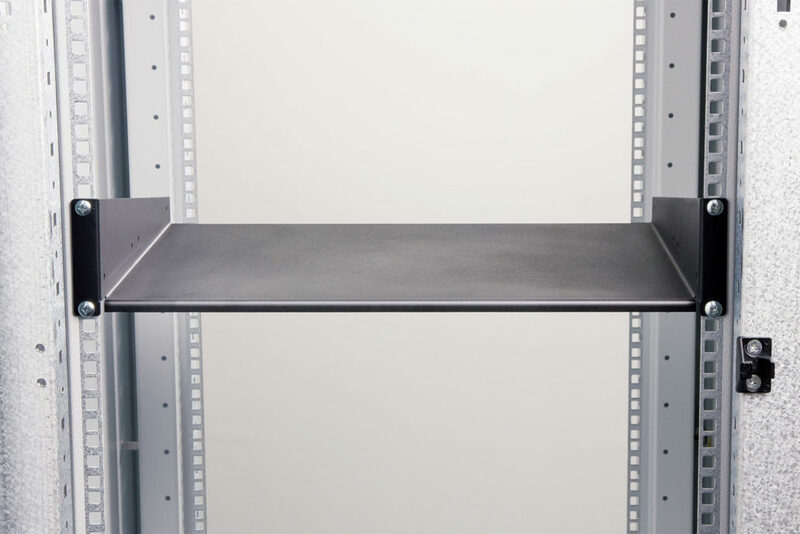 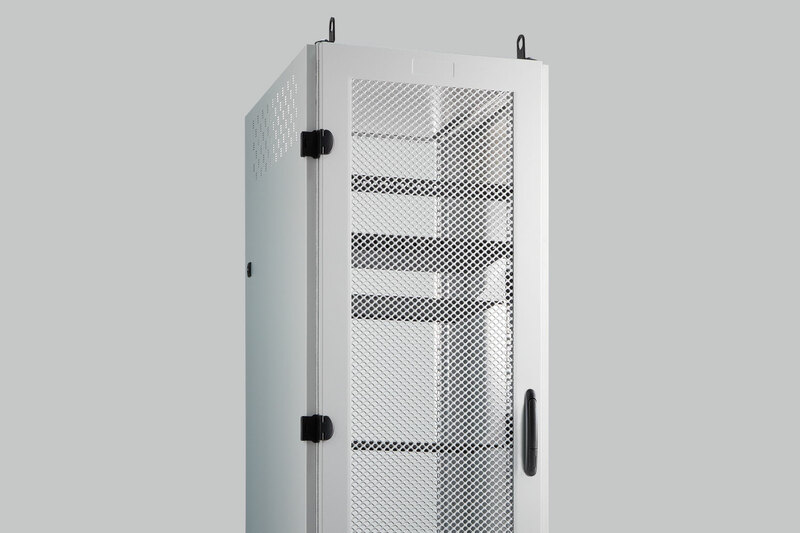 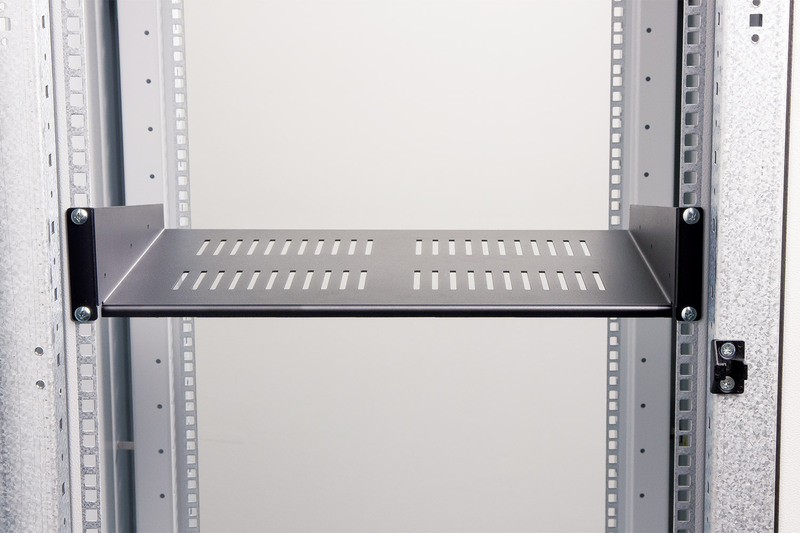 Small cabinets are suitable for the installation of light equipments as switches while cabinets are suitable for the installation of strong equipments as company servers. 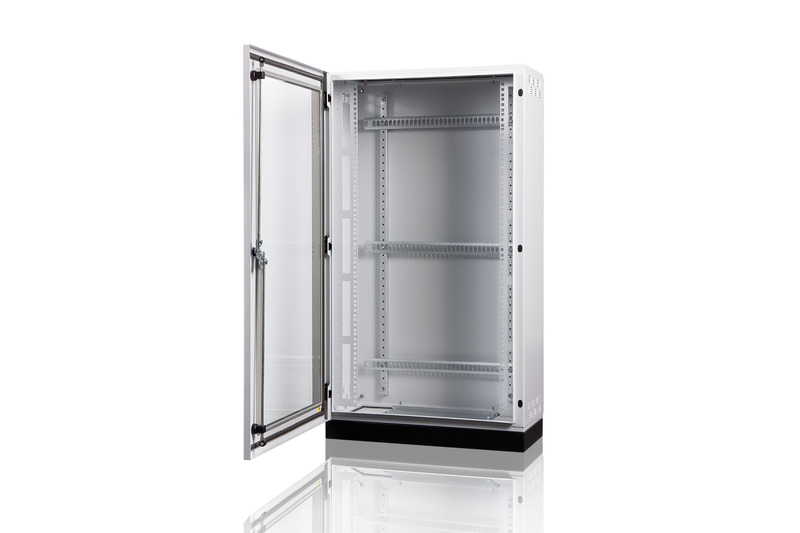 Degree of protection IP30 with transparent door with toughened glass. 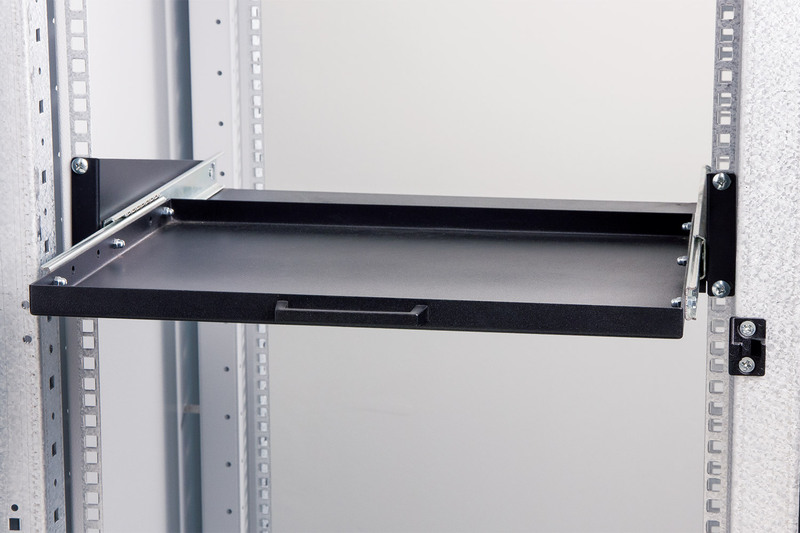 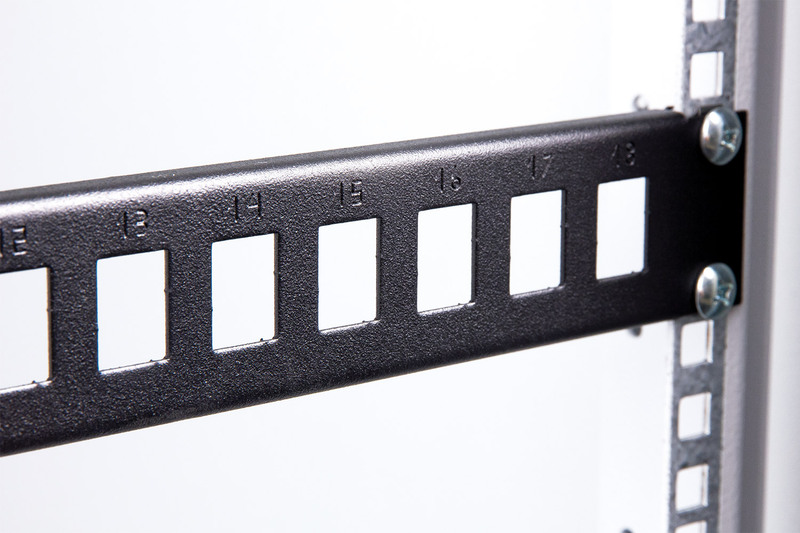 Top or bottom plates for wires management. 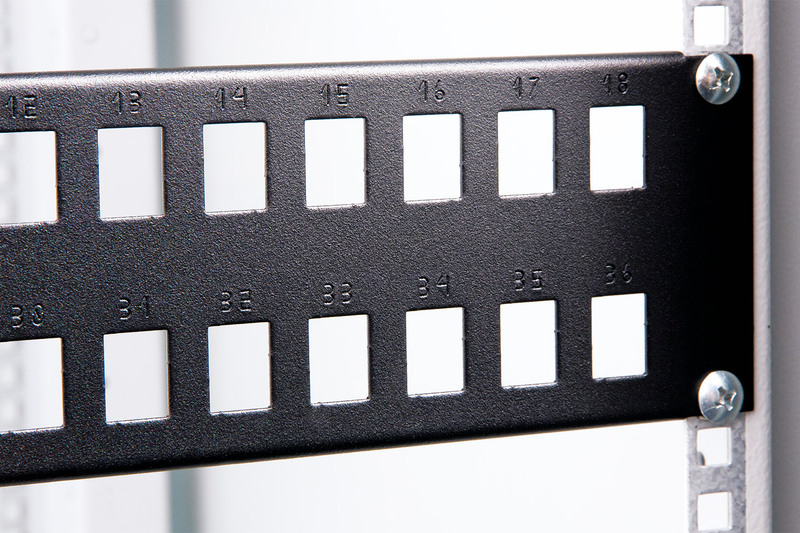 Assembled structure made of sheet with a thickness of 1,5 mm. Monoblock structure made of welded sheet with a thickness of 1,2 mm with removable side panels. 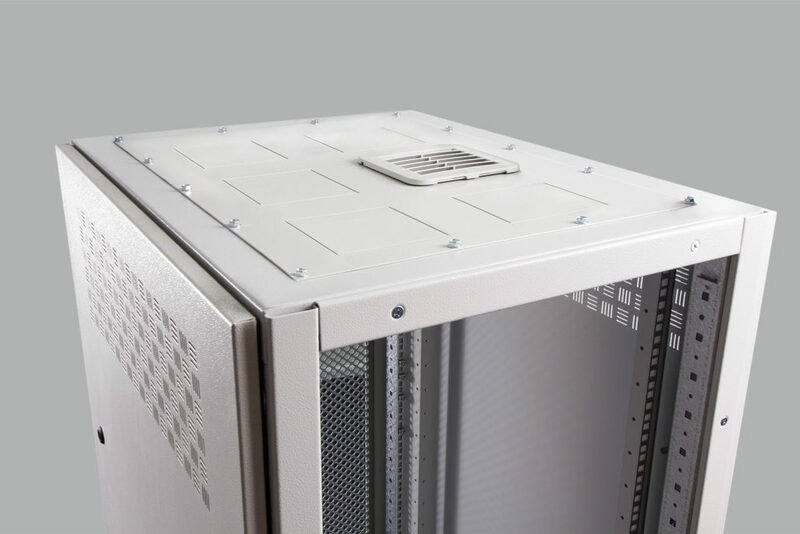 Assembled structure made of sheet with a thickness of 1,5 mm with side supports for equipment. 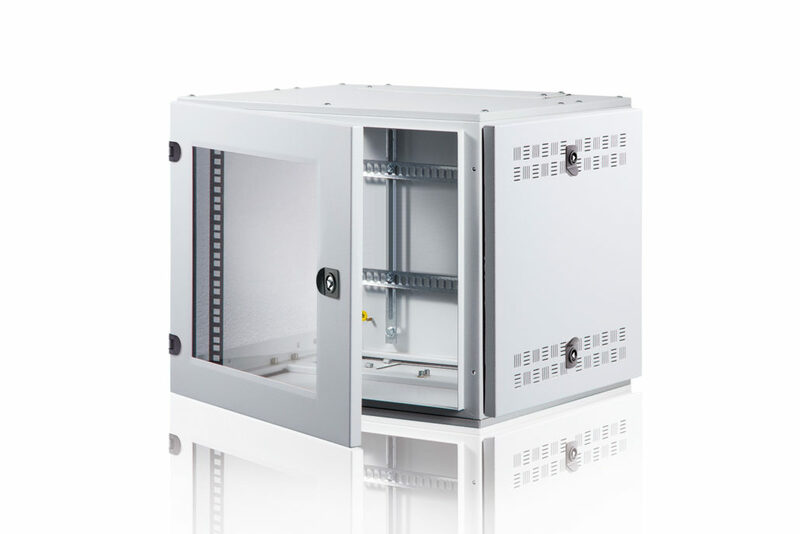 Assembled structure made of sheet with a thickness of 1,5 mm with a solid frame that can be opened up to 135° for the support of equipment. 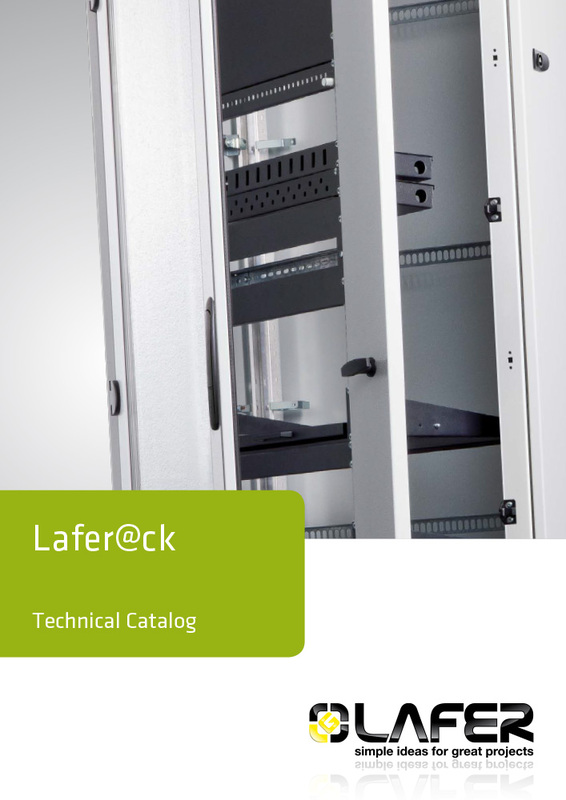 Lafer@ck enclosures can be combined laterally with PW-Tech, MC-Cub, ME-Cub, Compact and Automation enclosures. 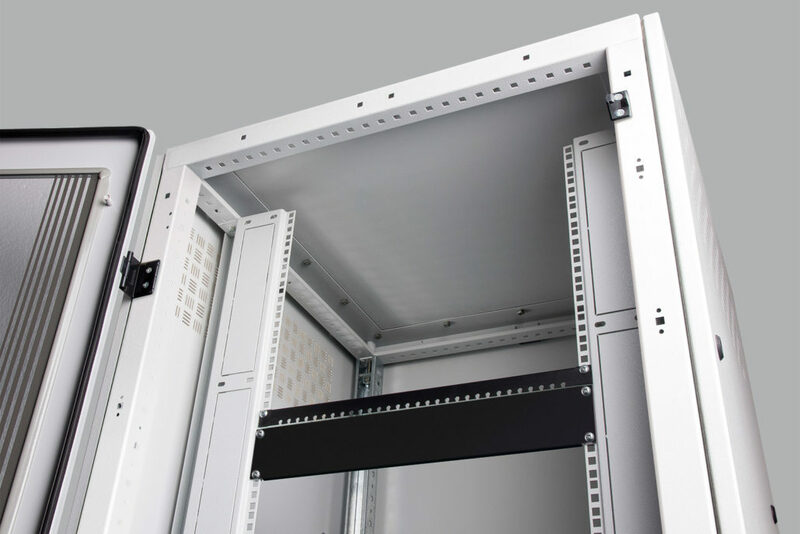 Possibility of designing the structure with the configurator Fast-One. 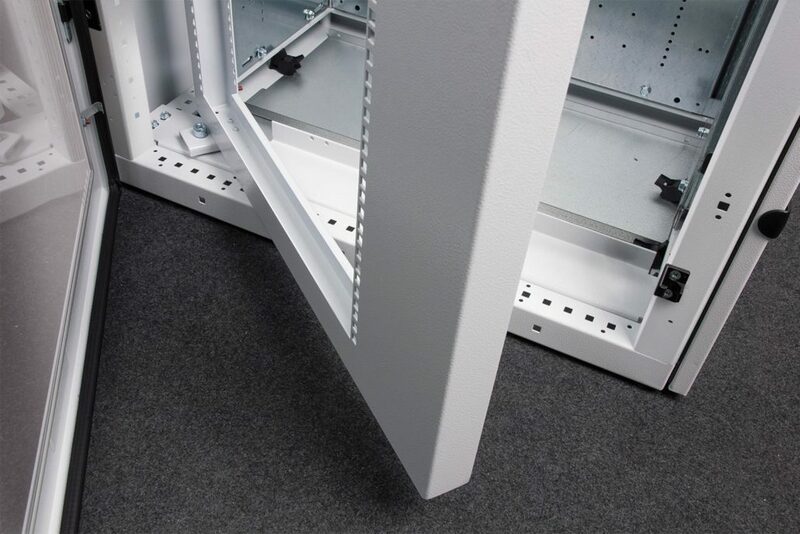 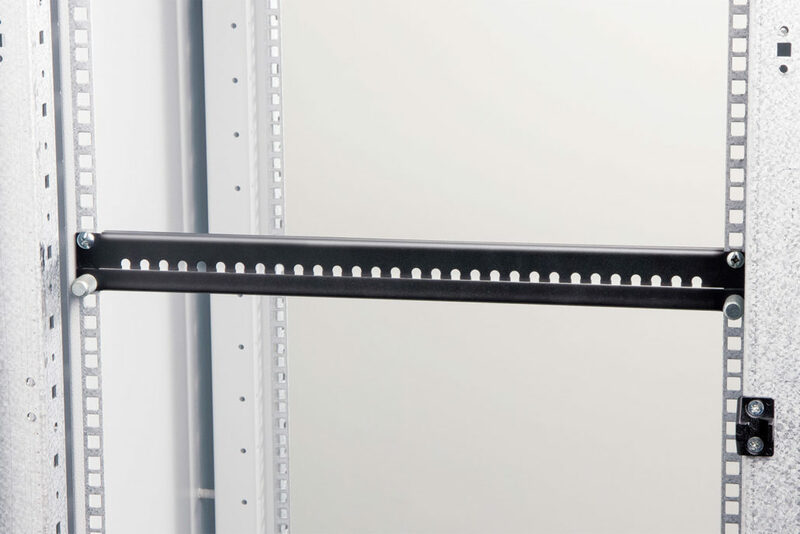 Maximum flexibility of use given by the possibility of using glass door, blind door, rack swivel frame, perforated, lateral or back to back doors.